Hierbij de eerste drie delen van the Marketing of Maddness, een documentaire over psychiatrie en farmaceutische drugs. As usual, it`s all about the money. This is the story of the high-income partnership between drug companies and psychiatry which has created an $80 billion profit from the peddling of psychotropic drugs to an unsuspecting public. But unlike a mainstream medical drug like insulin, psychotropic medications have no measurable target illness to correct, and can upset the very delicate balance of chemical processes the body needs to run smoothly.Nevertheless, psychiatrists and drug companies have used these drugs to create a huge and lucrative market niche. How did psychotropic drugs, with no target illness, no known curative powers and a long and extensive list of side effects, become the go to treatment for every kind of psychological distress? Psychiatrists claim a history of great advances in the area of psychotropic drugs. But is this parade of brain chemicals the “scientific breakthroughs” they assert? 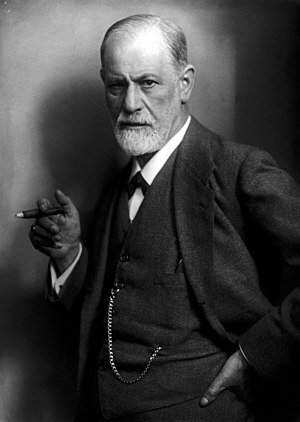 Sigmund Freud’s early drug marketing efforts helped create a major cocaine epidemic throughout Europe. Psychiatrists next turned to amphetamines until those drugs were discovered to be not only ineffective, but highly toxic and addictive. Years later, the world was told that “antidepressant” drugs were actually “lifestyle drugs” for a choose your mood society. Yet within ten years, staggering details of side effects such as violence and suicide could no longer be ignored—with an estimated 3.9 million adverse events on Prozac alone. Two questions remain—where is the science that backs psychiatry up? And how much longer will the public continue to believe false hopes, hype and outright lies? Dit bericht werd geplaatst in Corporatisme, Documentaires, Drugs, Education, Follow the Money, Geld, Gezondheid, Massamanipulatie, Natuur, Nieuwe Business Modellen en getagged met Drug, drugs, Health, Medical, Medicijnen, Mental health, Pharmaceutical drug, Prozac, psychiatrie, Psychiatrist, Psychiatry, Psychoactive drug, Sigmund Freud. Maak dit favoriet permalink.